An enlightening seminar The Science of Meditation, held on Wednesday, August 27th by the Association of Indians at Hershey, shed light on the science behind some of the benefits of meditative practices. Dr. Herbert Benson, Associate Professor of Medicine at Harvard Medical School and founder of the Mind Body Medical Institute, pioneered this research field with his work in transcendental meditation (TM) in the early ’70s. Dr. Benson’s meditation technique is meant to reverse and counteract the effects of the fight-or-flight response (increased production of epinephrine and norepinephrine, increased heart rate and blood pressure) and has discovered that meditation can decrease blood pressure while increasing feelings of peace and contentment. Other, more recent work has corroborated these findings. A study by Schneider and colleagues (2009) published in the journal Circulation found that long term practice of TM can improve outcomes in a population at high risk for stroke and heart attack. In fact, Schneider found that the patients’ risk was cut in half when practicing TM, and were disease-free for longer than their counterparts (all subjects had coronary artery disease). Though it is known that hormones such as cortisol and catecholamines (epinephrine and norepinephrine) are elevated in stress, it is unknown if TM caused a reduction in these hormones, thereby leading to better outcomes. A study by Zeidan (2012) at Wake Forest School of Medicine showed that practicing mindfulness meditations (focusing your complete attention on one thing, e.g., your breath) for twenty minutes a day for four days can actually reduce perceived intensity of a painful stimulus (a hot metal plate on the calf) by 40%, and can reduce the unpleasantness of the noxious stimulus by a whopping 57%! Using fMRI imaging, the areas of the brain which normally respond to pain – the primary and secondary somatosensory cortices – had reduced activation post-meditation. Subjects who experienced the greatest reduction in pain intensity had the largest increase in activity of the insula and cingulate cortex-two areas implicated in human empathy. Also, subjects that reported the largest reductions in unpleasantness of the hot plate had the greatest reduction in thalamus activation- which gates all incoming sensory information before it reaches the cortex. These latter subjects also showed increased activation of the orbitofrontal cortex, an area important for logical decision making. Overall, it seems that practicing focused attention through mindfulness meditation actually reduced the subjective experience of pain. Another study at Oxford University (2013) corroborated this result, finding MBCT can reduce relapse into depression by 44%. Furthermore, MBCT is now included as a group intervention in the American Psychiatric Association’s Practice Guideline for the Treatment of Patients with Major Depressive Disorder. A study by Lutz and colleagues (2008) at the University of Wisconsin-Madison found that meditating on compassion can alter our brains’ functionality to become more compassionate. By comparing novice meditators with a group of Tibetan monks who had over 10,000 hours of practice, this study was the first to show (with fMRI) that emotions such as loving-kindness and compassion can be learned in the same way as playing a musical instrument or being adept in a sport. 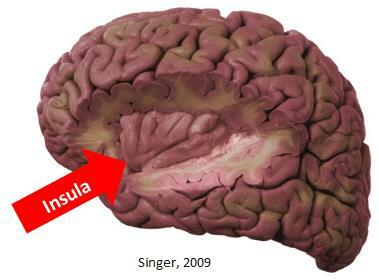 Lutz found that presentation of emotional cues (vocalizations of distress) was associated with increased activation in the insula and cingulate cortices during meditation. 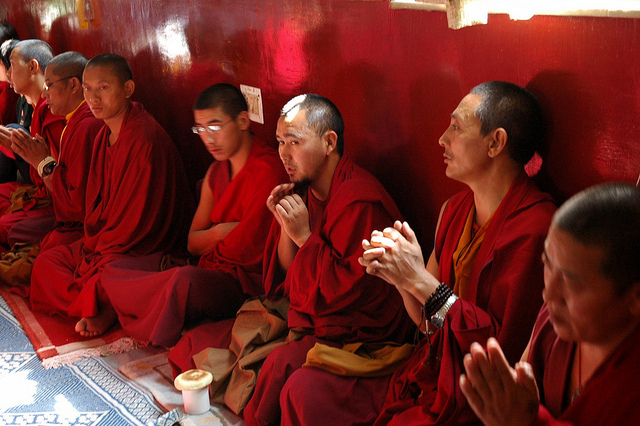 Moreover, activation of these regions was greater in expert meditators compared to novices. Clearly there has been a great deal of intriguing work put forth to support meditation as an alternative or supplement to traditional medicine. However, this research is still in its early stages and anyone who is thinking of taking up meditation to help treat an illness should consult with their health care provider first. On the other hand, meditation is a great tool to simply reduce stress or increase happiness. 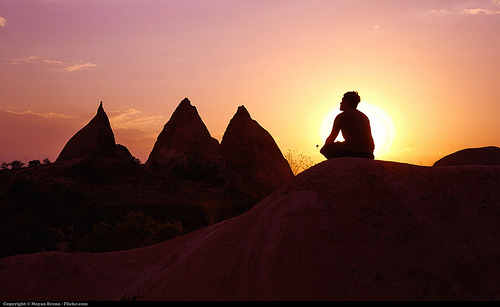 To learn more about meditation, please visit the NIH webpage. If you or anyone you know is suffering with a mental illness and would like to speak to a medical professional at Penn State College of Medicine, please visit the Psychiatry homepage. Oxford study on MBCT: Williams, J. M. G., Crane, C., Barnhofer, T., Brennan, K., Duggan, D. S., Fennell, M. J. V., Hackmann, A., Krusche, A., Muse, K., Von Rohr, I. R., Shah, D., Crane, R. S., Eames, C., Jones M., Radford, S., Silverton, S., Sun, Y., Weatherley-Jones, E., Whitaker, C. J., Russell, D., & Russell, I. T. (2013, December 2). Mindfulness-Based Cognitive Therapy for Preventing Relapse in Recurrent Depression: A Randomized Dismantling Trial. Journal of Consulting and Clinical Psychology. Advance online publication. doi: 10.1037/a0035036. Segal ZV, Bieling P, Young T, et al. Antidepressant monotherapy vs sequential pharmacotherapy and mind- fulness-based cognitive therapy, or placebo, for relapse prophylaxis in recurrent depression. Arch Gen Psychiatry 2010; 67:1256–64. Work Group On Major Depressive Disorder. American Psychiatric Association practice guideline for the treatment of patients with major depressive disorder, third edi- tion. Arlington, VA: American Psychiatric Publishing; 2010. Criticism: Krisanaprakornkit T, Ngamjarus C, Witoonchart C, Piyavhatkul N (2010). “Meditation therapies for attention-deficit/hyperactivity disorder (ADHD)”. In Krisanaprakornkit, Thawatchai.Cochrane Database Syst Rev 6 (6): CD006507.doi:1002/14651858.CD006507.pub2. PMID 20556767. Hölzel, Britta K. et al. Mindfulness practice leads to increases in regional brain gray matter density. Psychiatry Research: Neuroimaging , Volume 191 , Issue 1 , 36 – 43. My most recent post for Lions Talk Science!